I had severe upper and lower back pain. I could not sleep at night and I was gaining weight. My husband was taking OmegaXL and feeling the benefits and referred it to me. 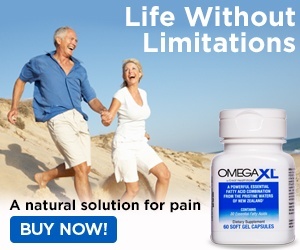 OmegaXL relieved my back pain and now I am able to sleep because I am not in pain. I am even exercising and I could not do that before. 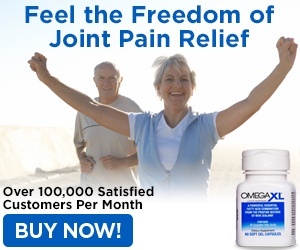 OmegaXL helped both my husband and I to have less pain and to feel way better. It is incredible how such tiny capsules can be so potent and effective. All I can say is that they work and people should start taking them. If you want to be healthy and be around for more years, take OmegaXL and dont give up. Review #805568 is a subjective opinion of User805568.